Sit on the mat, bend your knees and slightly lean back. You core and hips should form “V” letter. Spine is slightly rounded and abs are flexed. Extend your arms in front of you. Clasp your hands for convenience. This is your starting position. Lift your legs off the floor and start twisting your core with hands to the right and to the left. Knees stay in the same position or slightly rotate against the core. As long as your feet are fixed, you can rotate your core more actively. You can place your feet either under the bench or ask a partner hold them. 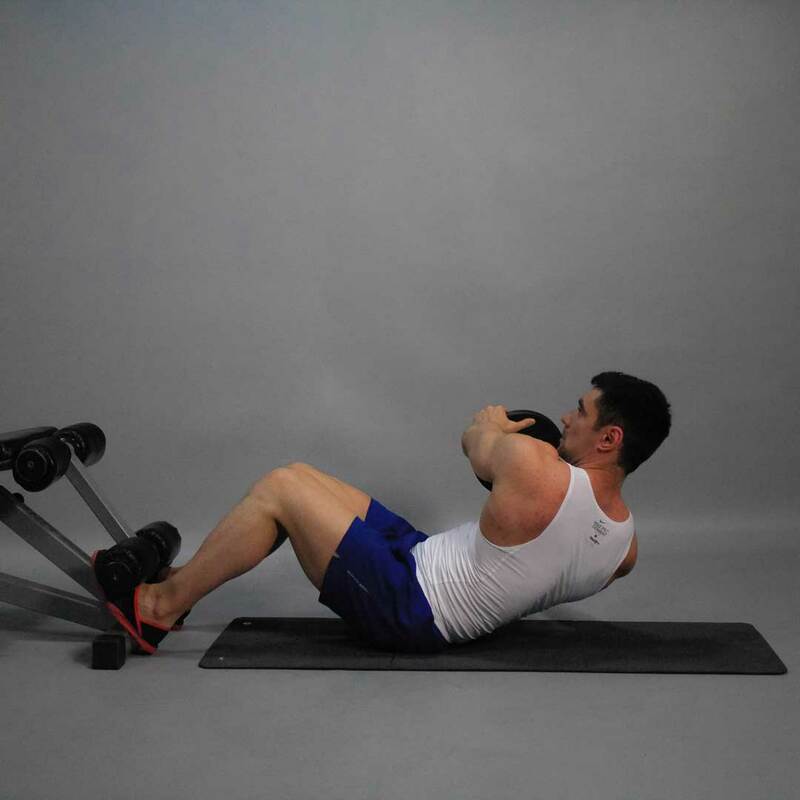 Tips: For more intensive muscle work you can use small weight plate or other weight. In such position, your feet can be fixed or hold hanging. Hold the weight in front of you with straight or bent (easier) arms and perform the movement. Do so if you focused on increasing the volume of muscles and making them more ripple, not narrowing your waist. Precautions: Those who have some spine issues, should do Russian twist carefully. If during workout you experience discomfort or pain in the back, the exercise should be stopped.